Dream pop is an enchanting subgenre of alternative music that sounds quite literal to its name. Breathy vocals are married to sonic beats, creating a “beach vibe.” Artists placed in the dream pop genre typically have a cheerful, optimistic or just plain serene sound. Dream pop is often considered an identical genre to “shoegaze,” as the genre includes similar whimsical sonic tones and light vocals. When listening, however, it’s particularly easy to differentiate between both styles. Shoegaze has a far more dynamic, distorted and textured sound. It’s a tasteful style, but it can also be the type of music that causes people to cover their ears or dart to the back of the venue. Dream pop, though, is tranquil, but still full of intensity. Some believe the founders of dream pop are the Cocteau Twins, a Scottish trio that gained popularity in the ‘80s and ‘90s. The group consists of Elizabeth Fraser, Robin Guthrie and Simon Raymonde. Their music follows the typical style of ‘80s music, with new wave anthems and lots of synth. However, the most striking element of this group is how clear of an influence they had on sounds of today. In “Cherry-coloured Funk,” one of the Cocteau Twins’ most popular tracks, the opening measures are strikingly similar to tones in Canadian singer Mac DeMarco’s “Dreaming,” “Treat Her Better” and “Potato Boy.” DeMarco is a current artist in the alternative genre whose music features the atmospheric elements which epitomize dream pop, specifically the breezy guitar style he utilizes. On of the most iconic modern dream pop bands is Beach House, a duo who emerged out of Baltimore, Maryland. 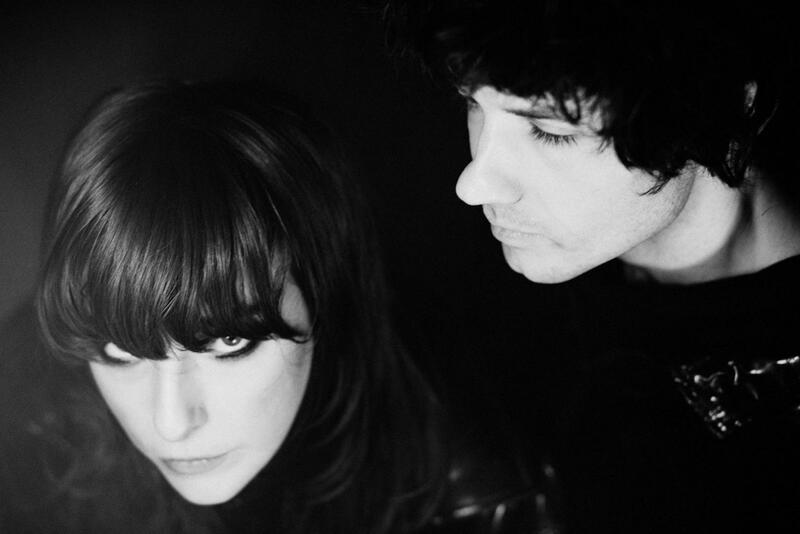 The group consists of vocalist and keyboardist Victoria Legrand and guitarist Alex Scally. The band’s fifth studio album, “Depression Cherry,” peaked at number eight on the Billboard 200 charts in 2015, and their latest release, a fitting title for their seventh album, “7,” was released in May of 2018 with their classic dream pop flair. Although Beach House’s music is toned down from the ‘80s synth and smooth acoustic guitar sounds, their songs are ballads infused with emotion and a story, quite like that of the Cocteau Twins. The Japanese House is an English solo artist named Amber Bain, whose airy vocals make for the perfect depiction of a modern dream pop sound. She has collaborated and toured with the iconic alternative group The 1975, pushing her sound into the mainstream. “Saw You In A Dream” is a track that sends the listener into an absolute nostalgic state. It takes one into an actual dream, where a lost lover appears and brings back floods of delightful memories only to wake up to the realization that it was simply another nighttime vision. The song is stunning as it tells two stories, one of love and one of loss, and still maintains the dream pop fashion of chill and mood-lightening sounds. The Japanese House is unlike many dream pop artists, as much of Bain’s music is upbeat rather than slow and collected. However, it can be interpreted as a new wave of dream pop, with a faster pace but the same balance of intensity and light synth pop sounds. From the Cocteau Twins to Beach House, the uniqueness of dream pop lies within the juxtaposition of intensity and a cool, melodic soundscape. The genre’s ability to produce music with such substance and power while still making you feel relaxed and at ease is absolutely intriguing. Dream pop is complex and diverse. It accomplishes so much within one genre and produces such varying emotion. A dream pop artist can tell a profound story while singing you to sleep. Whether you’re listening with a glass of wine or writing a paper with background music, dream pop is versatile. To chill out with dream pop yourself, check out this playlist created by Spotify that is devoted to the genre. Lauren Crociati can be reached at [email protected]and followed on Twitter at @Lauren_Crociati.